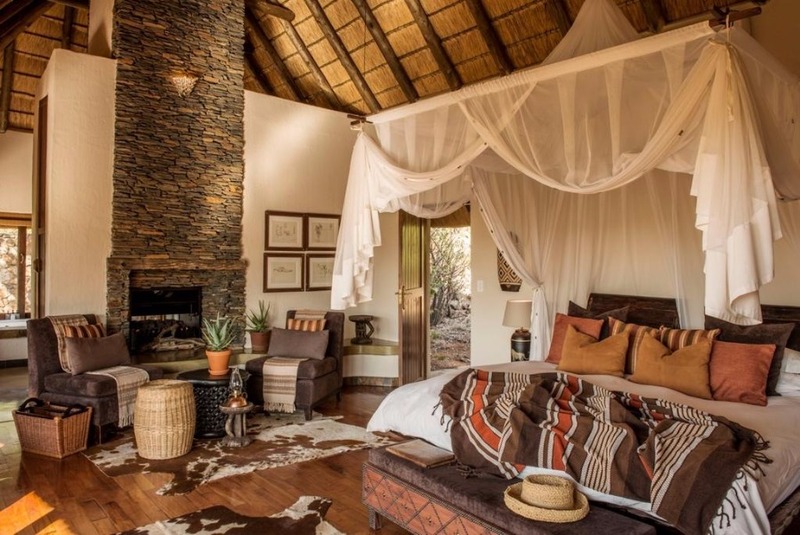 Welcome to the 5-star Tuningi Safari Lodge - a member of The Madikwe Collection and FTTSA certified - situated in the world renowned 165,000 acre malaria-free Big 5 Madikwe Game Reserve. 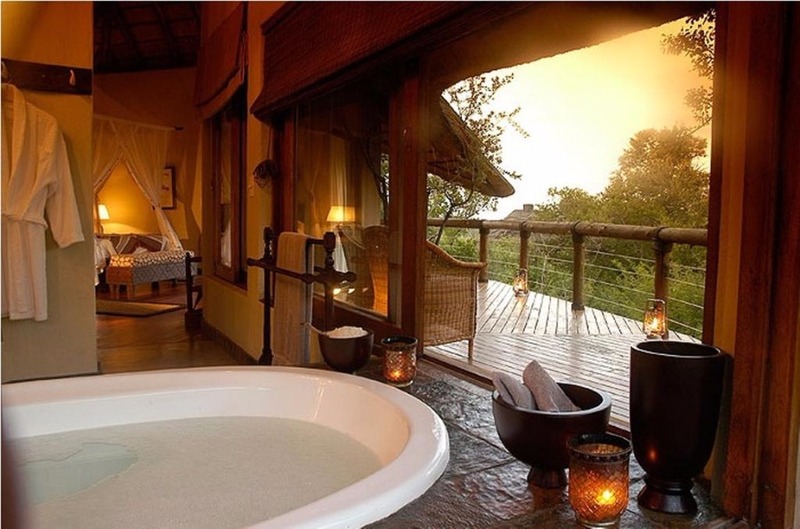 The private and exclusive, Tuningi Safari Lodge offers both local and international guests a superior product enhanced by an impressive Big 5 safari experience.Tuningi is one of the very few 5-star lodges in South Africa that welcomes children and in by doing so, avails them of the wonders of nature, wildlife and our delicate eco-system. 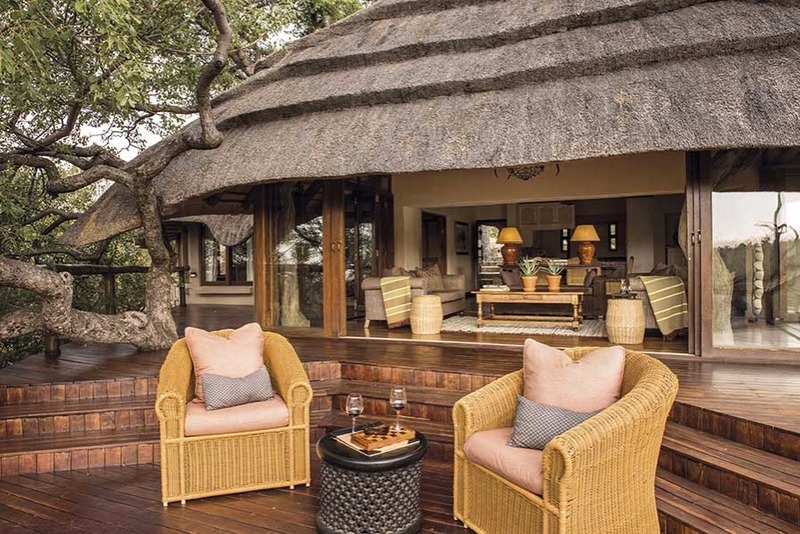 The design brief, for the exclusive villas, was to create space by blending interiors with the bush through utilising retractable doors and windows wherever possible. 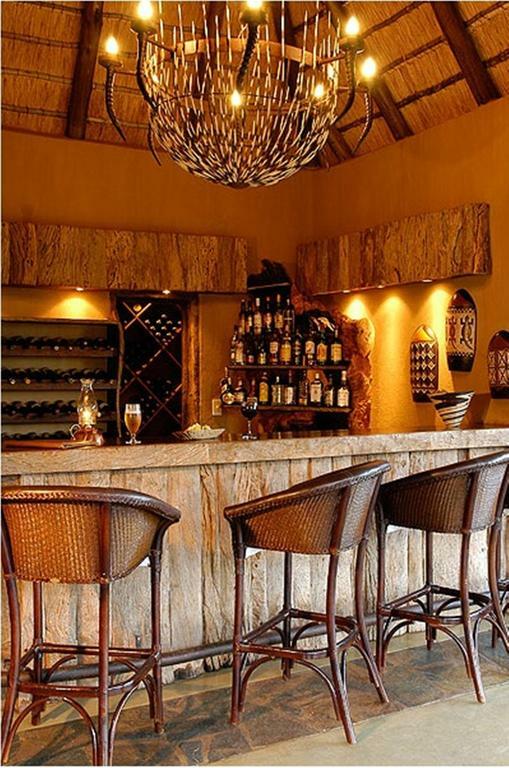 The theme of the décor is ‘Colonial African chic’ and the main thatched lodge offers a sumptuous lounge, a spacious dining room and a well-stocked bar with an impressive rim flow pool that overlooks a watering hole, all interlinked by a sweeping wooden deck that leads to the boma area. As night sets in, lanterns and candles are lit and the mood goes from bush to baroque. 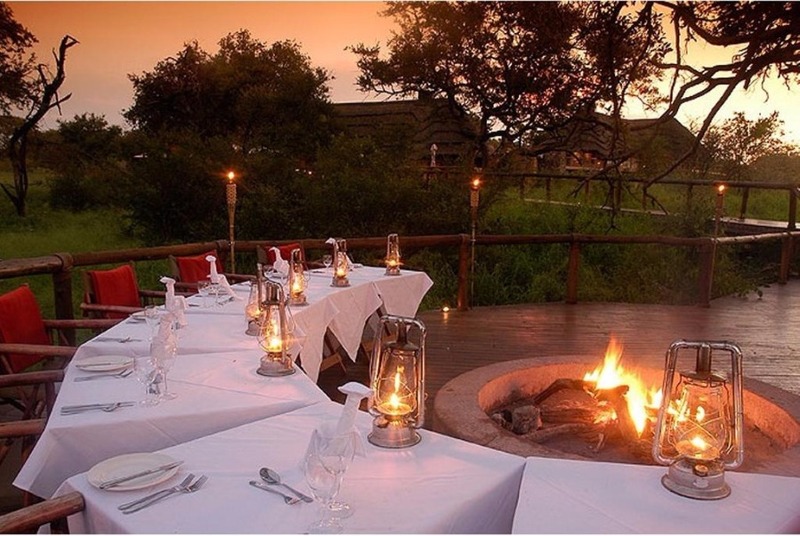 Guests return from their game drive to be presented with a bush extravaganza dinner, prepared by Tuningi’s Executive Chef, in the boma with a blazing log fire to keep them warm. Tuningi’s game rangers are of course highly qualified but more than this they have a skill for making guests feel passionate about the environment and wildlife while offering a unique opportunity for those willing to be educated on many aspects of wildlife and bush etiquette either on foot, for those brave enough, or in 4x4 open air vehicles. 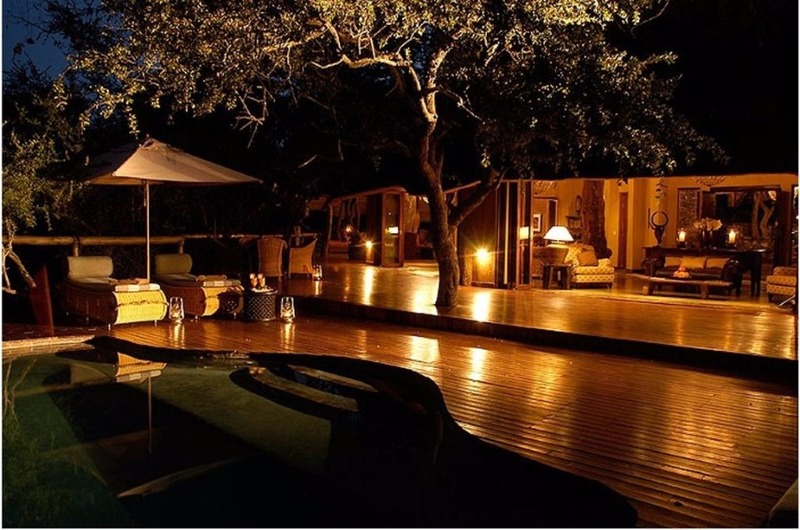 Lion, elephant, buffalo, white and black rhino, leopard and the rare and endangered wild dog are only some of the unique sightings to experience during your stay.Madikwe Game Reserve is a true African success story and Tuningi proudly enhances the experience! 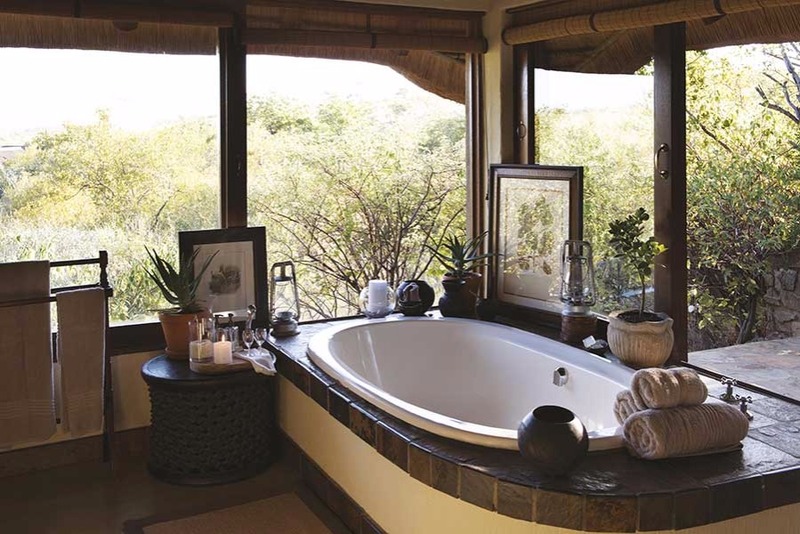 Tuningi Safari LodgeTuningi Safari Lodge can accommodate 16 (sixteen) guests in exclusive villas and the lodge itself has been designed in such a way that it can be divided for families, intimate groups or VIP’s in search of utter privacy - a concept that is unique to Tuningi. 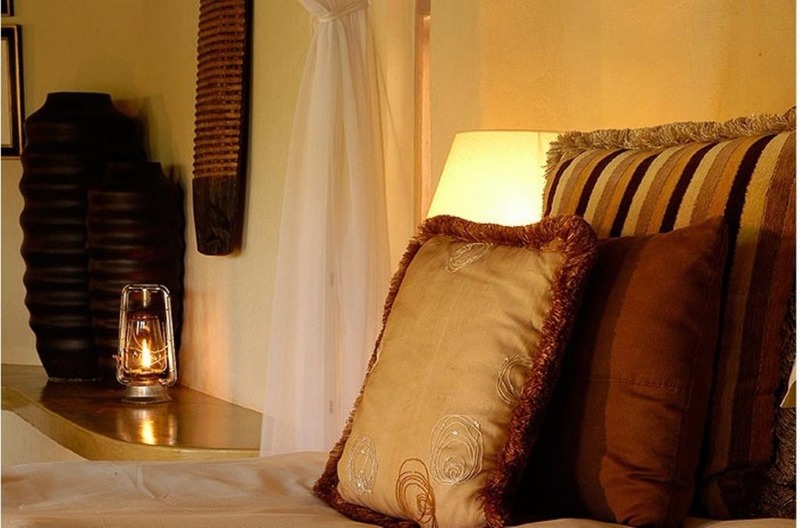 All rooms at Tuningi and Little Tuningi have air conditioning, ceiling fans, gas fireplaces, en-suite bathrooms, beautifully appointed baths, outdoor rock showers and private wrap around wooden decks. The design brief was to create space by blending interiors with the bush through utilising retractable doors and windows wherever possible. 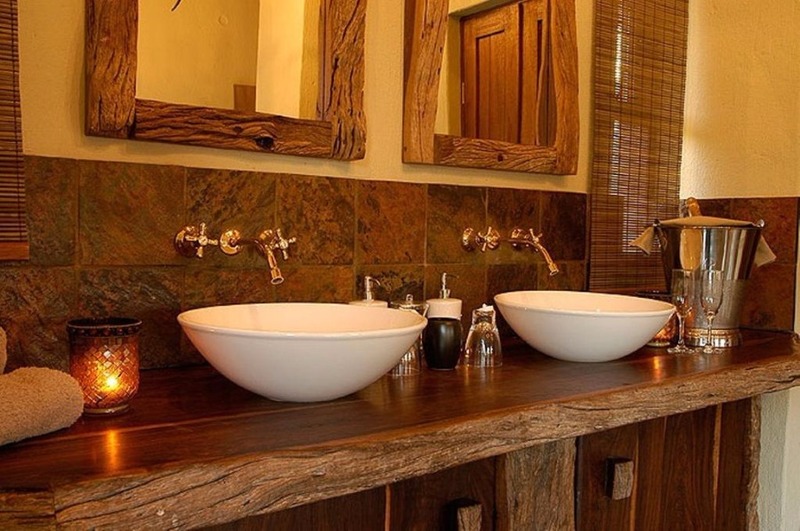 ‘Little Tuningi’ accommodates only 6 (six) guests in unsurpassed luxury with a designer kitchen, boma area, dinning room, lounge, wrap around wooden deck and private pool. 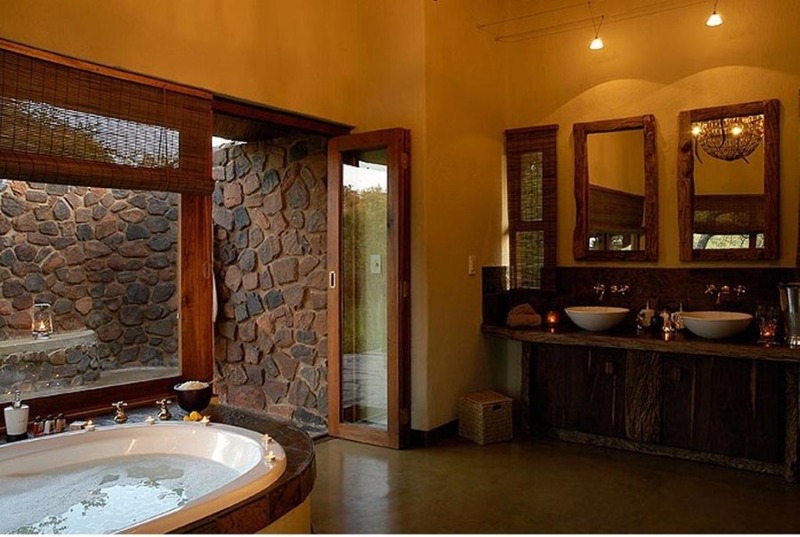 Purposely designed, ‘Little Tuningi’, is completely self-contained for those guests that are in search of ultimate privacy. 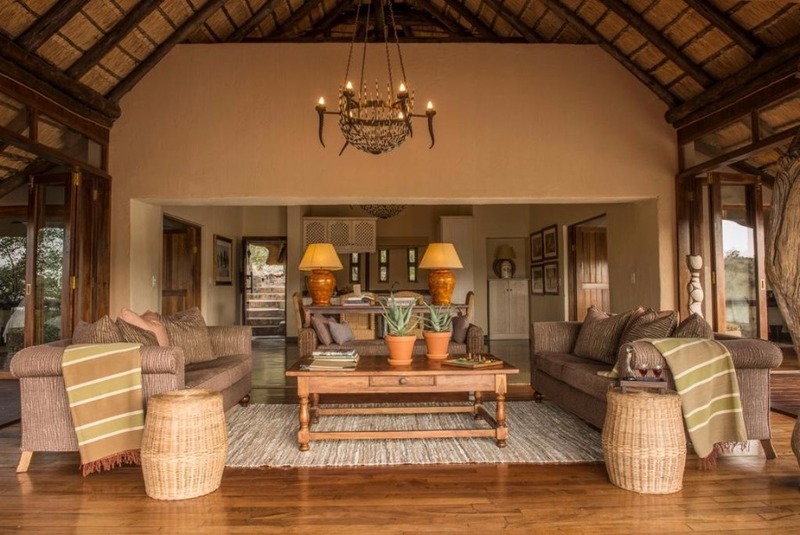 Guests do of course have access to the Main Lodge area and its facilities. Child Policy Children of all ages are welcome at Tuningi. Those over the age of five can join the first game drive with their parents. Their behaviour will determine whether they continue joining normal drives, or whether they will be moved to kiddies drives. All children under the age of five will be taken on short ‘kiddies bumbles’ after breakfast. Babies can be looked after by professionally trained housekeepers at an additional charge. CHILDREN: Children between 2 – 12 years will pay the child rate when sharing 1 chalet with 2 full paying guests (not the Family Suite). Children of all ages are welcome. Baby-sitters are available at an extra cost. Children 5 years and younger are not allowed on game drives. There is a children’s programme available. Children in own room or family unit are charged full rate. No charge for children under 2 years of age. A deposit of 25% of the total accommodation charge is required to confirm a provisional reservation and full payment is required 4 weeks prior to arrival. There is a 5% surcharge on credit card payments for commissionable bookings, as well as on Amex and Diners Credit Card Payments. Extras may be settled in camp. We accept all credit cards. Peak Season Terms and Conditions: 20 December until 5 January. All Bookings over Christmas and New Year’s Eve can only be secured once a 25% non-refundable deposit has been paid. Four weeks before arrival - 75% of full amount. Two weeks before arrival - 100% of full amount. 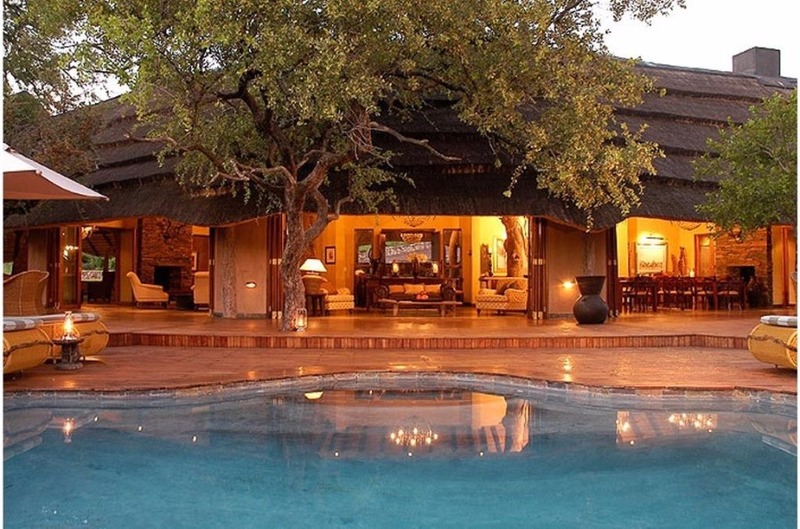 Guests may arrive any time from 14h00, and rooms are to be vacated by 11h00. Early check in/ departure subject to supplements. Wonderboom gate opens at 06h00 and closes at 21h00. Please phone the lodge directly if you are going to arrive later than 15h00. * Children between 2 – 12 years will pay the child rate when sharing 1 chalet with 2 full paying guests (not the Family Suite). Creating triple suites in a Luxury Suite or adding an additional child to the Family Suite will be subject to availability based on occupancy (please contact Reservations). 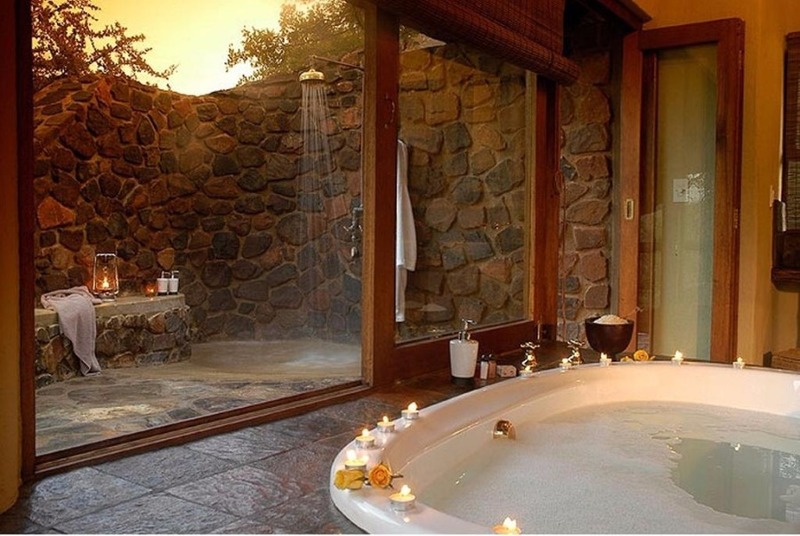 # Please Note: No single supplement for the first single suite confirmed in any one reservation. 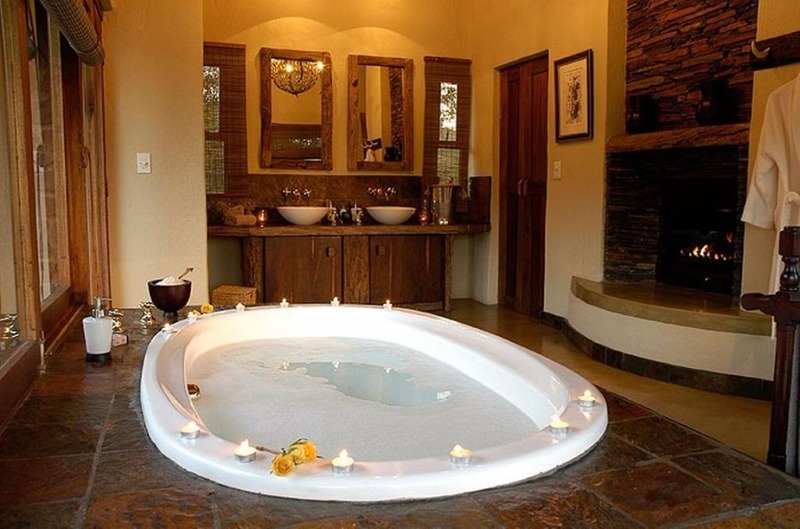 Second single suite or more pay a 50% supplement on the per person sharing rate. 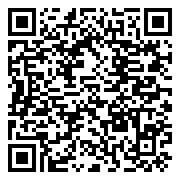 Wedding Package - Please contact us! 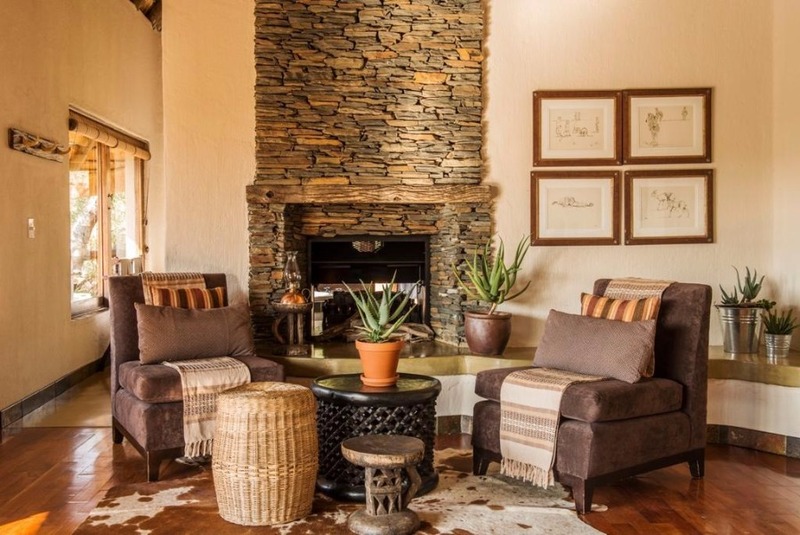 Savour colonial African chic in the Main Lodge. Each stylish area exudes supreme relaxation, and everything is linked by an expansive deck. 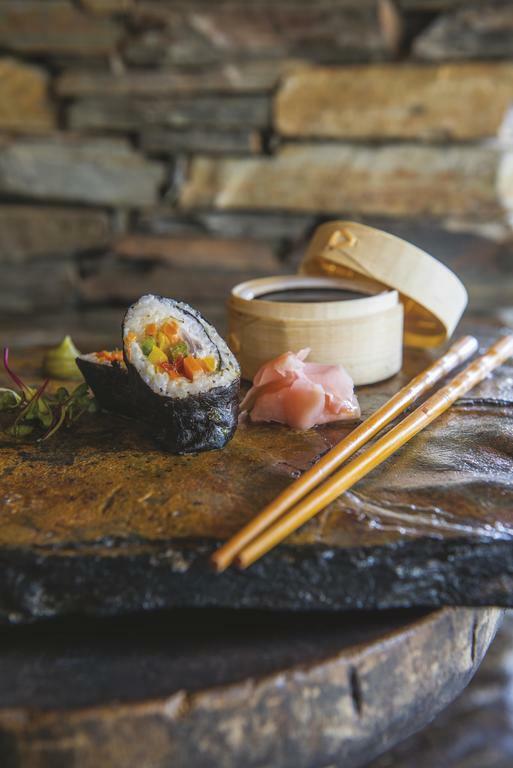 Bush Cuisine Whether it’s brunch, lunch or dinner, expect every bite to be indulgently inspired. 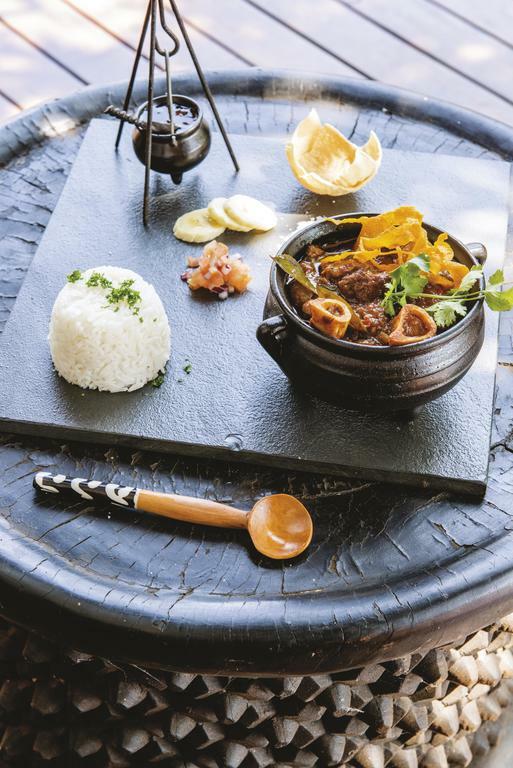 Meals are served in either Tuningi’s cozy dining room, or out in the boma where the table is set under an old Fig Tree overlooking a very active watering hole. 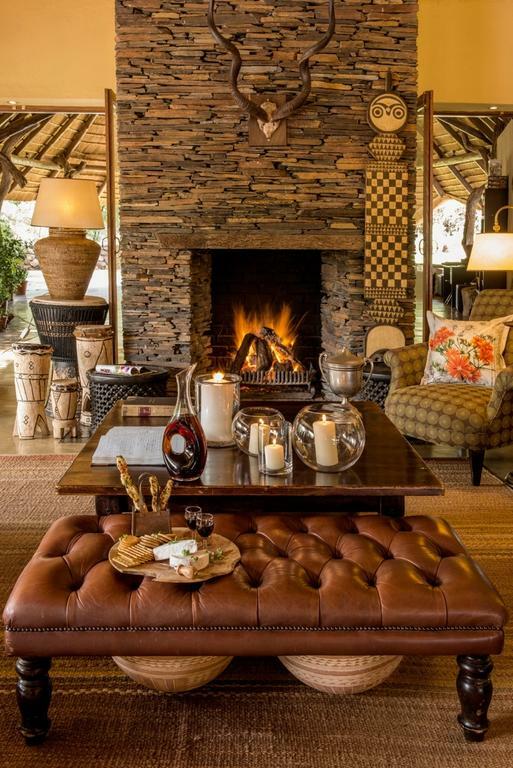 Fine food and superb South African wines are best sampled while sitting near a warm, crackling fire. This is the perfect opportunity to share the day’s sightings and experiences. End the evening with a sumptuous dessert and a nightcap before retreating to your suite. At Tuningi wedding celebrations are a subtle combination of African grace and charm. 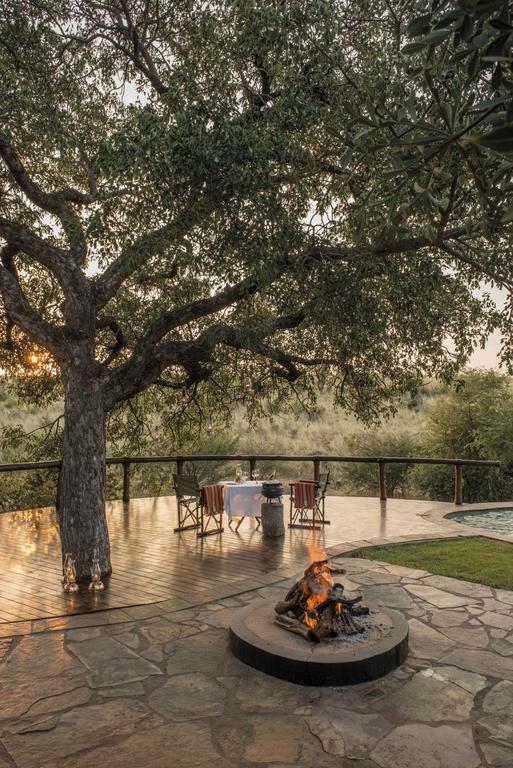 Ceremonies take place on a ‘koppie’ (hill) overlooking the northern part of the Madikwe Game Reserve. 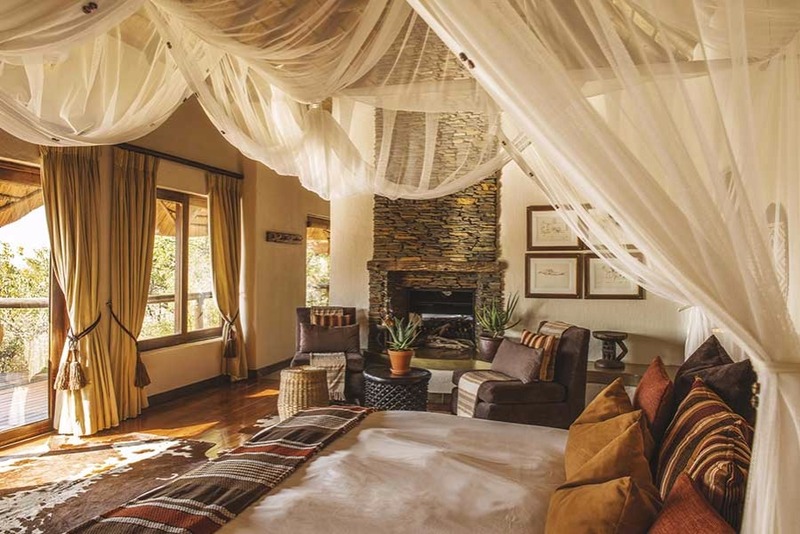 Through careful attention to details, bespoke service and coordination, the Tuningi team promises to create a stunning atmosphere for your safari-style wedding. 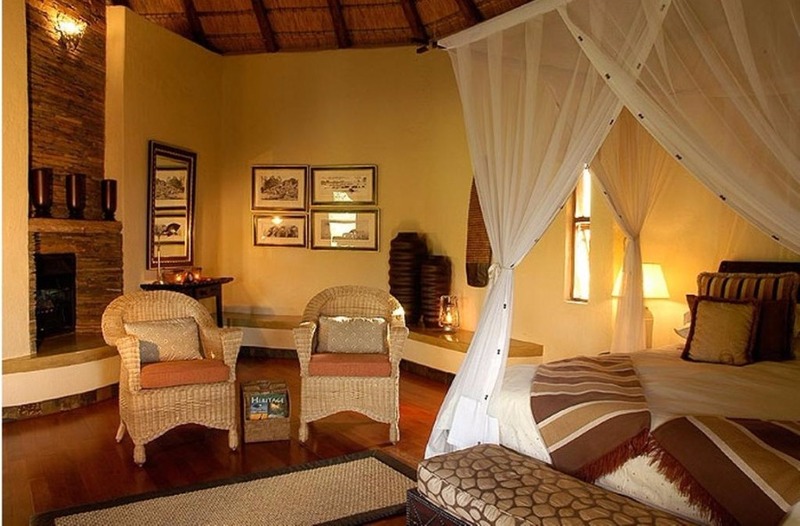 Tuningi is one of only a few lodges that specialize in families with children of all ages. Lots of toys, lego, coloring books and puzzles are available any time of the day. Formal activities include: Treasure hunts for natural items collected from the bush such as bones, feathers, nests, and eggs T-shirt painting Clay building competitions Older children are issued with an activity book where they can record sightings and animal behaviour every day On boma evenings, children can make their own bread on sticks, or toast marshmallows on the fire. TARIFFS CHANGES: All rates are subject to change.Rates are quoted in South Africa Rands and are inclusive of 14% Vat. 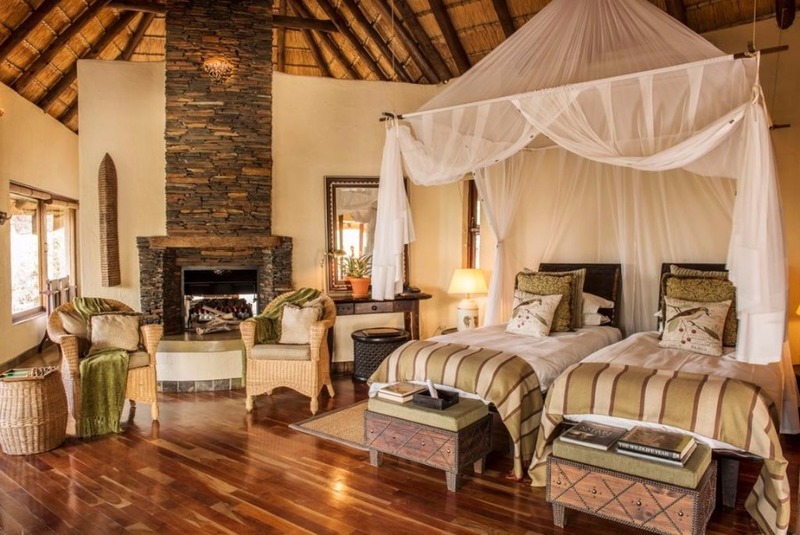 Main Camp - Six Luxury Suites have been designed in such a way that the Lodge can either be utilized to accommodate one party exclusively, or divided into separate areas.These spacious suites face a beautiful valley, which is frequented by a wide variety of wildlife both day and night. 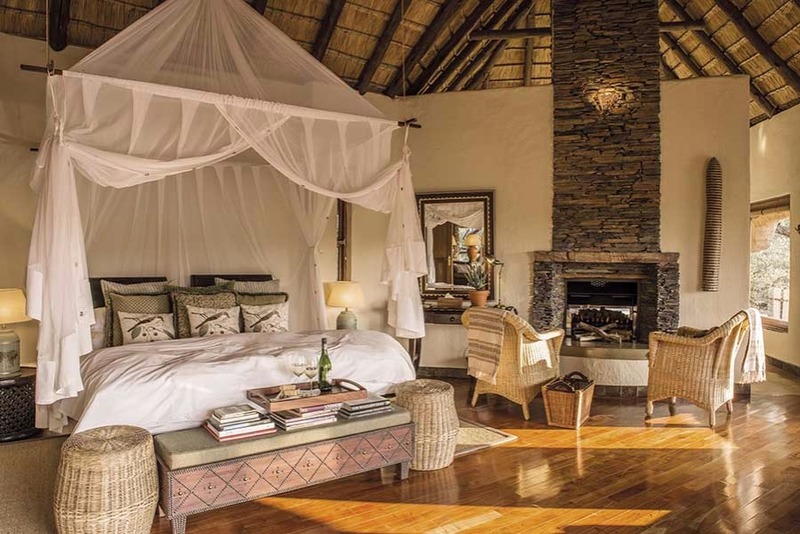 Each is furnished in timber with soft, warm colours that lend an organic feel to the rooms. 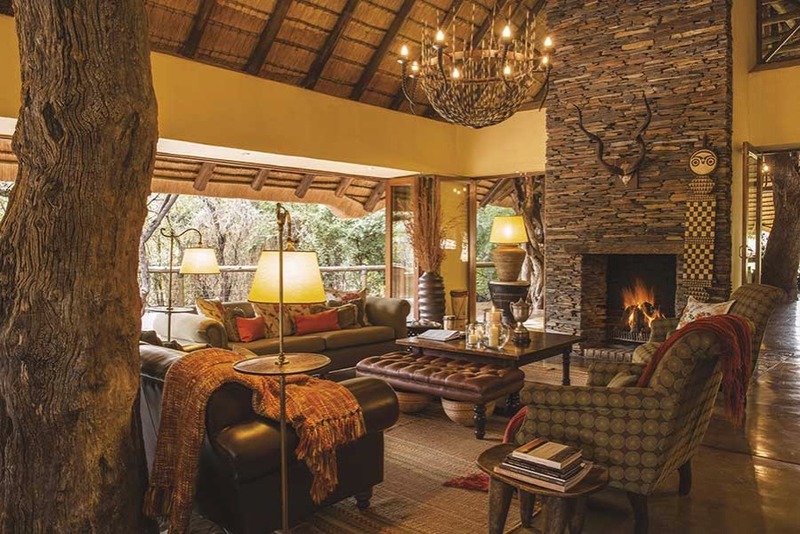 Six Luxury Suites have been designed in such a way that the Lodge can either be utilized to accommodate one party exclusively, or divided into separate areas.These spacious suites face a beautiful valley, which is frequented by a wide variety of wildlife both day and night. 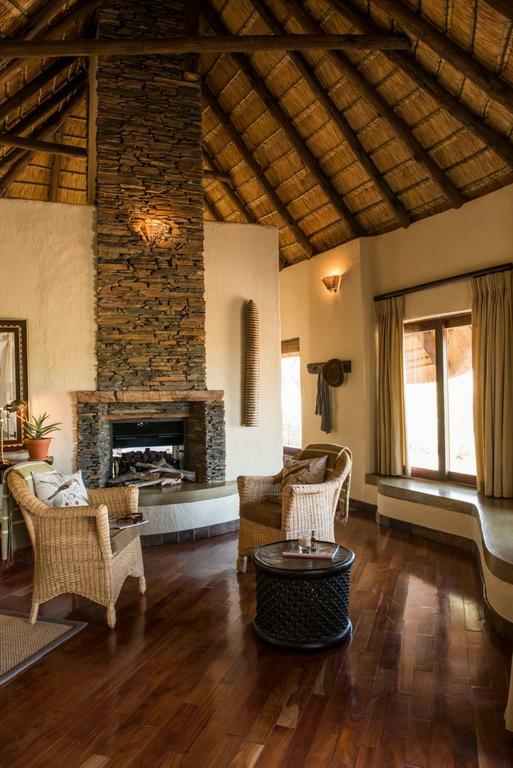 Each is furnished in timber with soft, warm colours that lend an organic feel to the rooms.